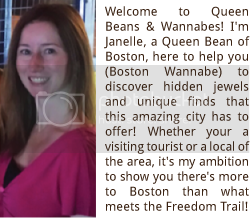 Queen Beans and Wannabes: Cupcakes & Cocktails & Bloggers…Oh, My! 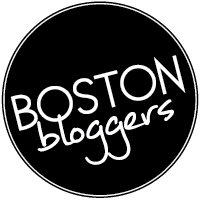 Recently I attended another awesome bloggers event hosted by @BlogandTweetBos. 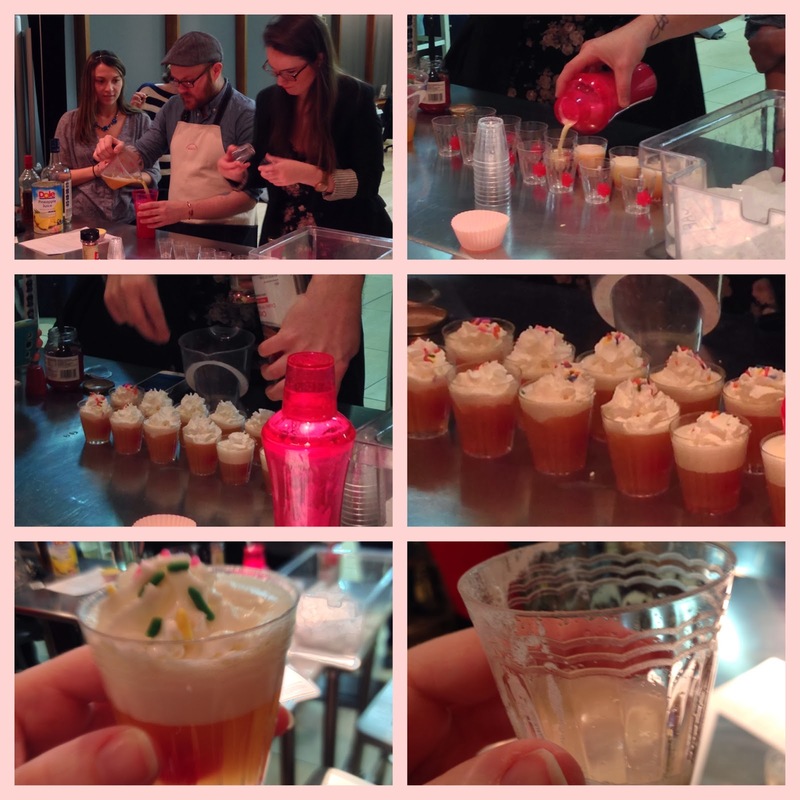 The theme was Cupcakes & Cocktails at the BCAE, (a place that I spend way too much time at, but it’s worth it, so many classes to learn about, so little time). 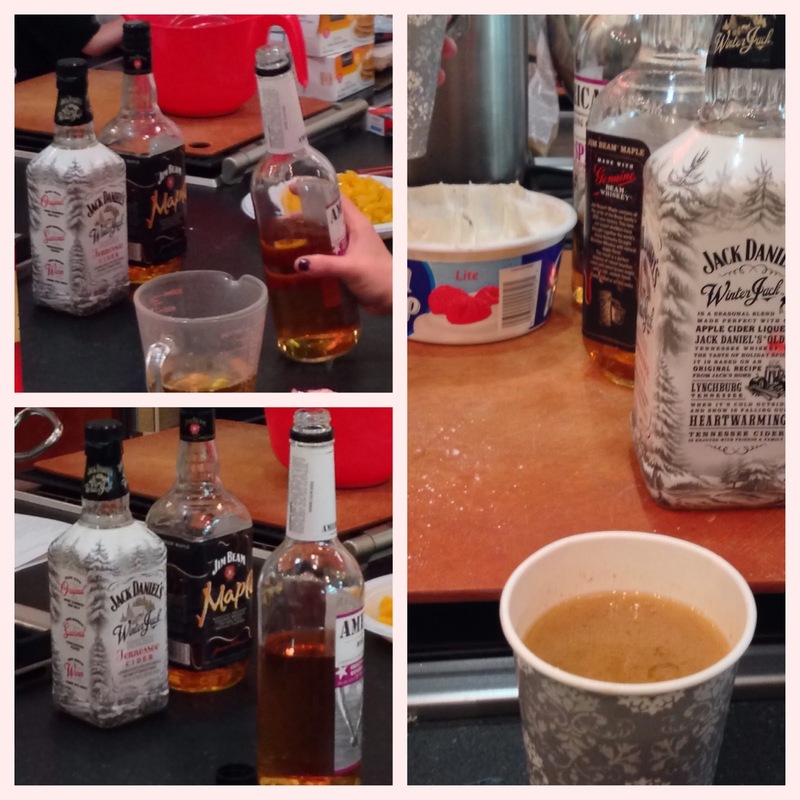 The evening’s class was taught by Dustin Rennells, cupcake, cocktail and all things baking extraordinary. Having taken a few of Dustin’s classes before (Sugar & Spice Cookies and Harvest Cupcakes), I knew this was going to be a blogger’s event I couldn't miss! The night’s objectives were simple, bake 3 different cupcakes, have 3 pairings of drinks and shots, take lots of pictures and have a great time. 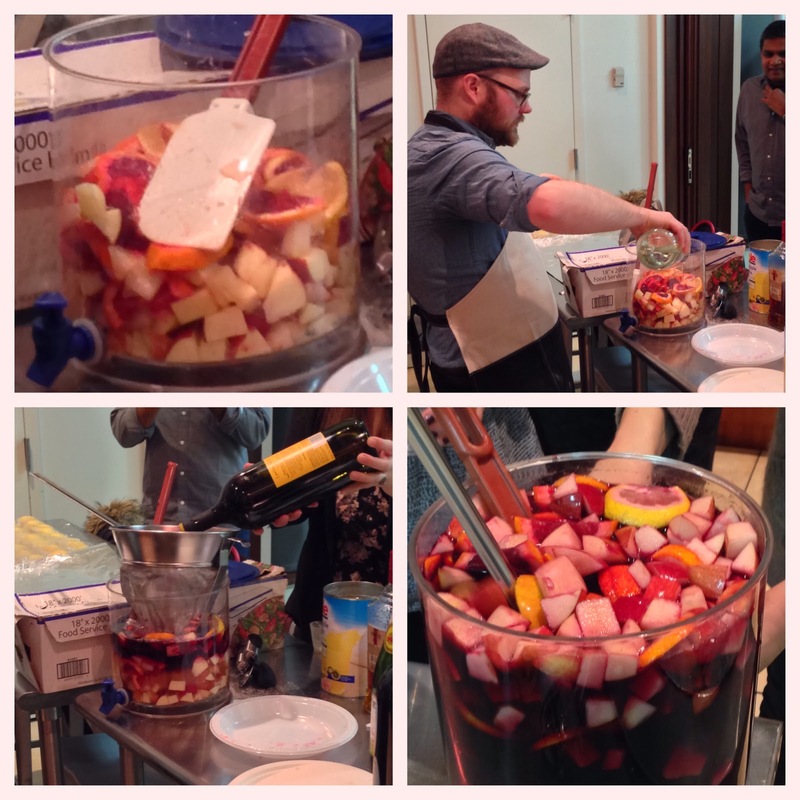 Dustin broke us into 3 different groups so that we all had a chance to help create one of the cupcakes- I was on the Sangria Cupcake with Compote Fruit Topping team, (which to my own opinion, the best tasting ones…naturally). Getting ready to do some baking!! 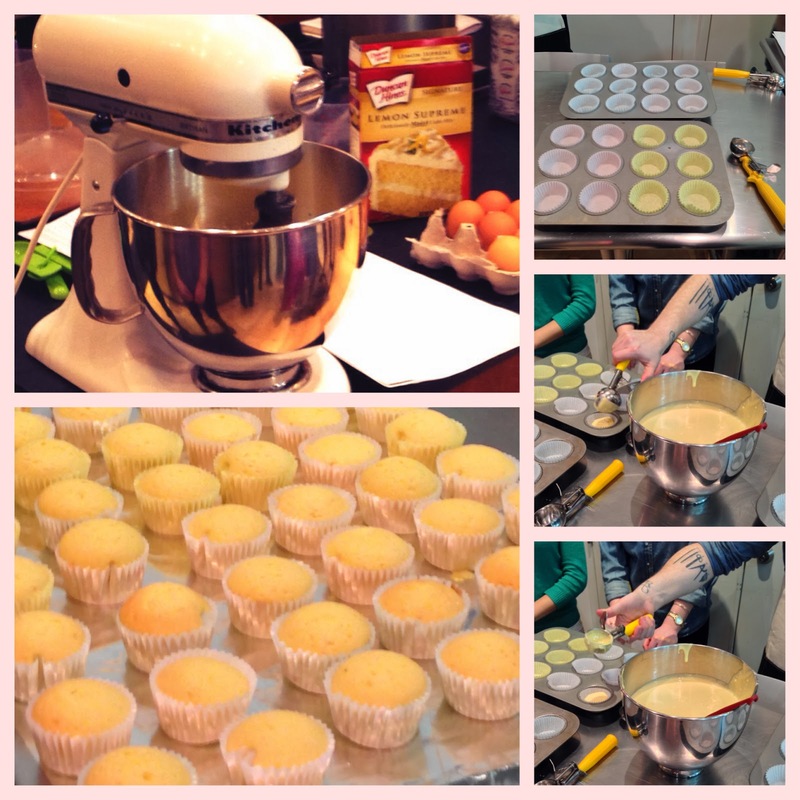 The first cupcake made was the Spring Break Cupcakes with strawberry- butter frosting. They were made with regular Duncan Hynes Lemon Surprise cake mix, Coconut Rum & water. As they were baking in the oven, we had our first cocktail- Cake Frosting Shots, (a great way to start off my Friday…and I may have had more than 1…)! Baking some Spring Break Cupcakes! Good Tip of the night when adding batter to the pan- Twist & Flip! 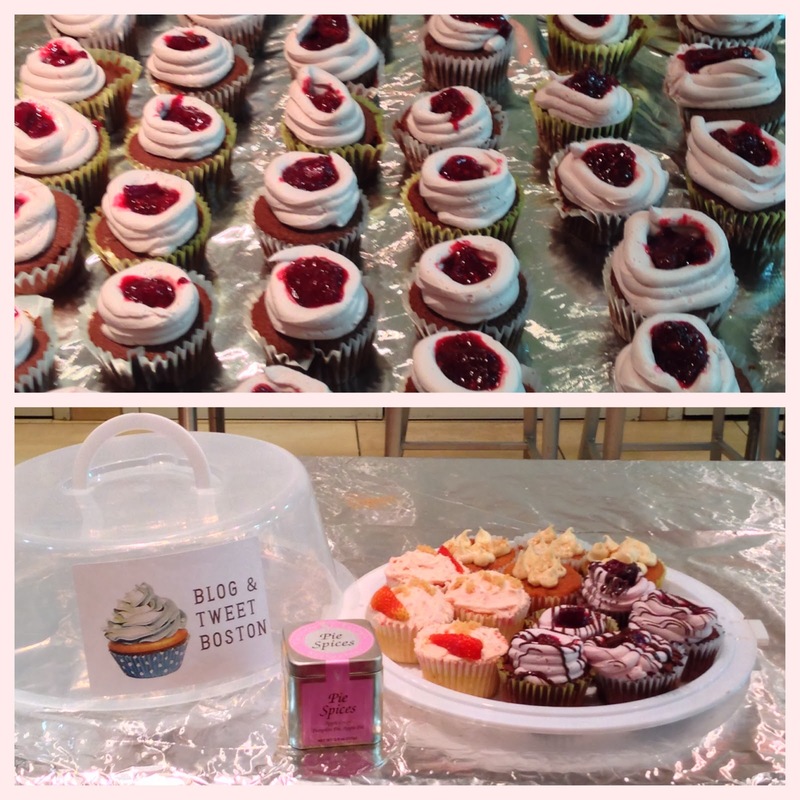 Next up, was the Sangria Cupcake team. 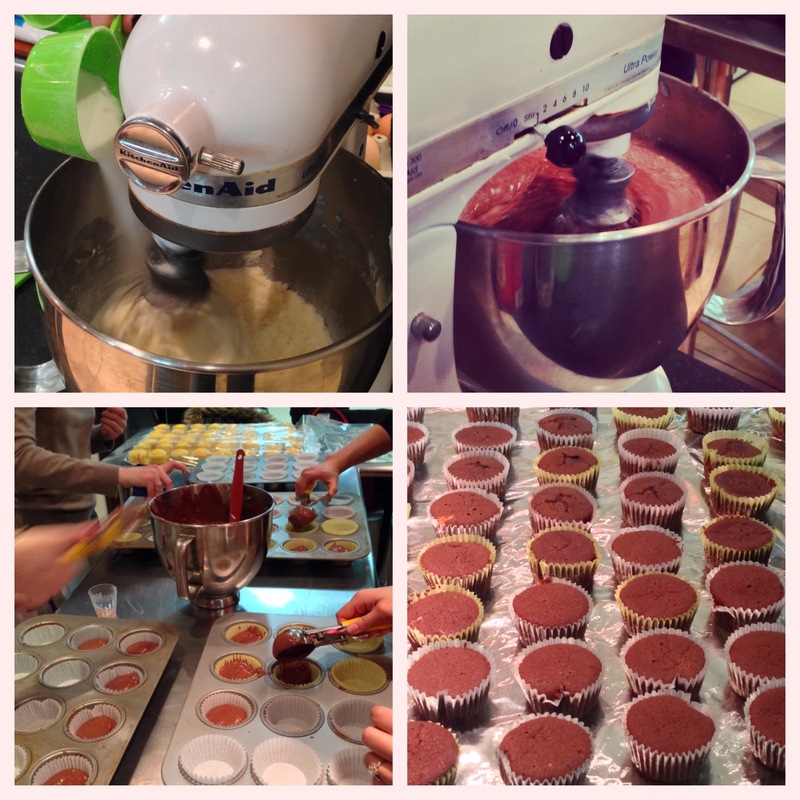 With a few simple ingredients including cocoa, butter & red wine, we were on our way to making a great batch of cupcakes. Of course, as we were mixing up the ingredients for our cupcakes, a few other girls were mixing up our next drink- Red Wine Spicy Sangria. Although it’s considered more of a summer drink, this sangria had some hint of winter spices including, cinnamon, apples and cloves, and paired great with the Sangria Cupcakes that would eventually have a fruit compote topping. What better to go with Sangria Cupcakes than Sangria?! Last, but most certainly not least, was the Brandied Peach Cupcakes with Tangy Brown Sugar *amazing* Frosting. This recipe had the most ingredients to mix in, including peaches, buttermilk and brandy. While I was helping out getting the cupcakes lined up and ready for frosting, the stove top was heating up for some delicious Apple Cider Hot Toddy, (my personal favorite drink of the night), which included Apple Cider, brown sugar cinnamon, and our choice of 3 different bourbons- I chose the Jack Daniels Maple, seemed most appropriate. By the end of the evening, we had dozens of cupcakes, frosted and ready for tasting and taking, delicious drinks and a few bloggers that I met for the first time. 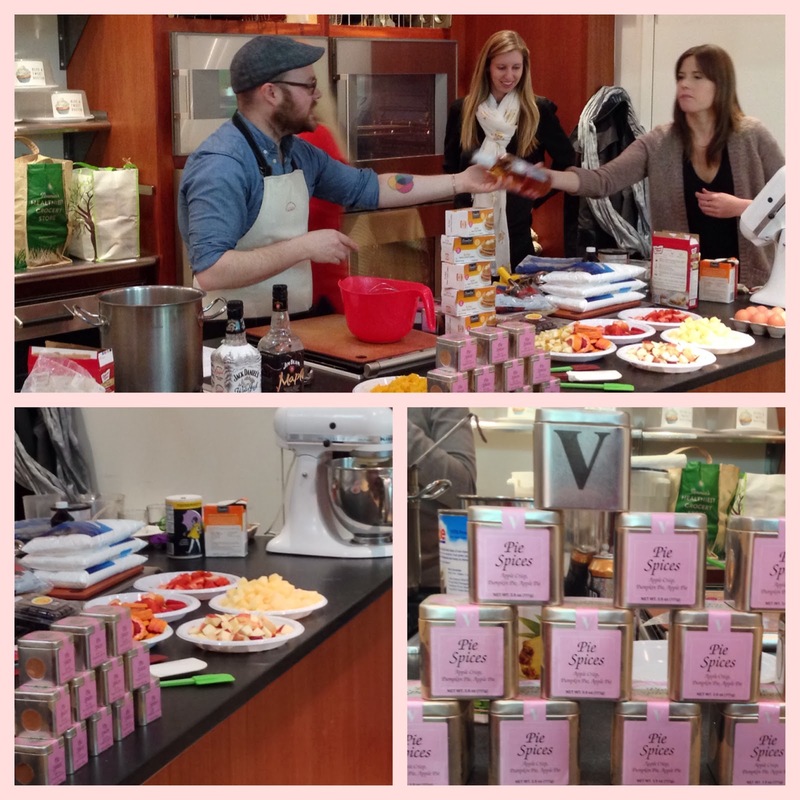 I’d say, it was another successful @BlogandTweetBos event with a great host at the BCAE. I hope I got your taste buds and sweet tooth wanting more, if so, you’re in luck! Dustin will be teaching another Cupcakes & Cocktails class again in the spring, as well as, many other baking classes that are sure to be a hit, so check out BCAE to find out more of these enjoyable classes! Finished product of the Sangria Cupcakes!! All the goodies I got to take home!! Yum!